G.I. Joe has been popular across generations for years. In the 1980's A Real American Hero was a big deal with the cartoon, action figures, t-shirts, and of course comic books. One of the most famous issues from the Marvel run was this issue. Told in silence with no word balloons at all. 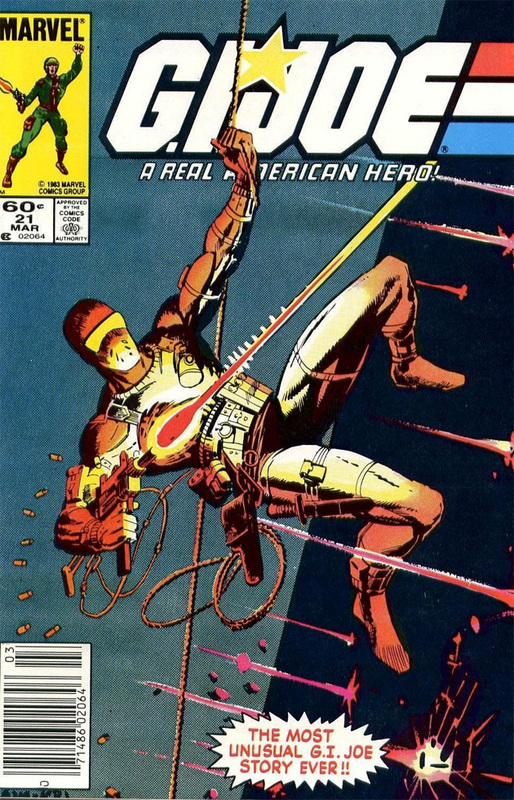 Just the popular ninja Snake Eyes on a mission as the reader went along with him on his stealth mission.